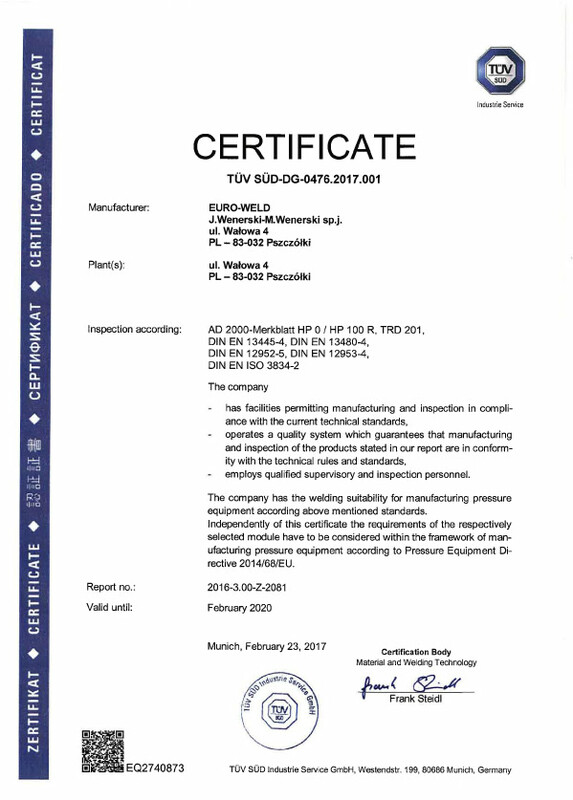 The company performs products and services in accordance with the standards: NORSOK M-601, ASME IX, WUDT / UC / 2003, PED 97/23 / WE, AD 2000 Merkblatt HP 0 / HP 100 R, TRD 201 while complying with the regulations and requirements of Classification Societies, like DNV GL, ABS, BV, RINA, LR. 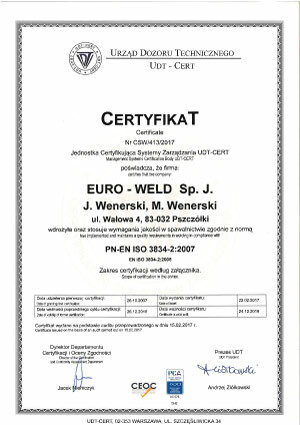 EURO-WELD is the owner of 80 welding technologies, and the number increases, due to sophisticated and high-demanding projects we do execute for our international customers. 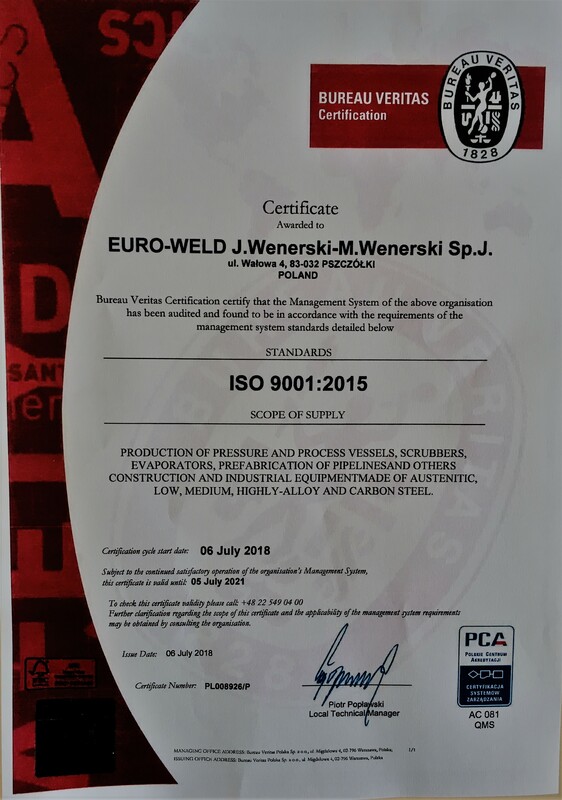 The International Welding Inspector (IWI) together with the Welding Engineers (IWE) are responsible for proper preparation and implementation of welding technologies (WPQR, WPS). 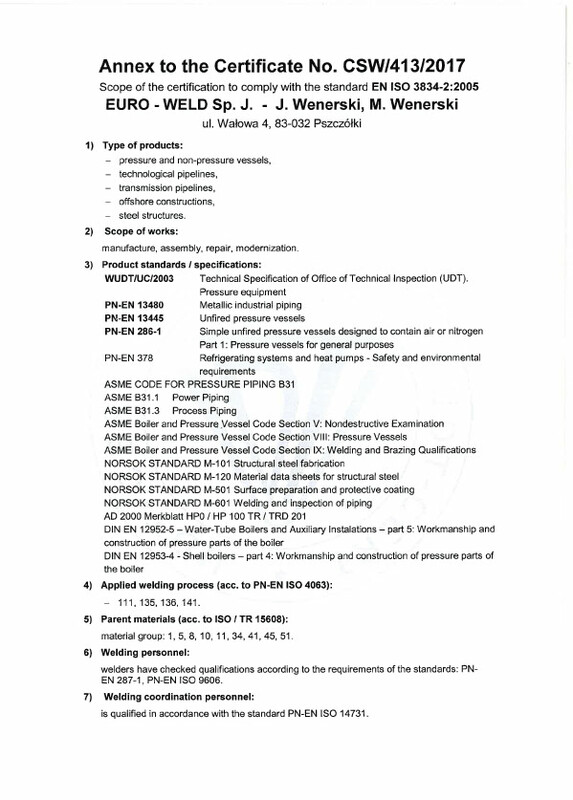 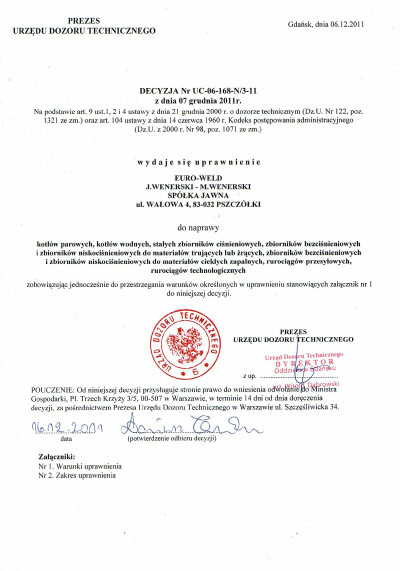 We have welding workshop approvals issued by UDT (Polish Office of Technical Inspection) and qualifications within years of experience in manufacturing & assembling of pressure equipment. 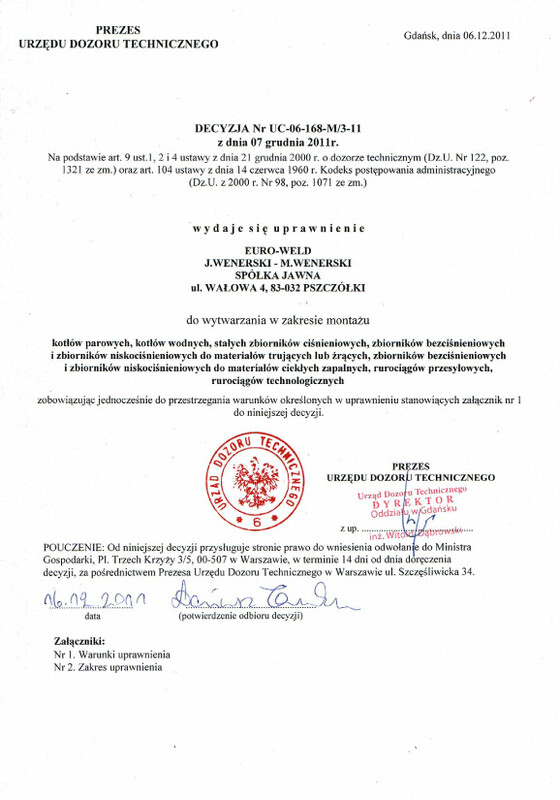 At the same time, we provide our clients with additional services in the field of NDT non-destructive testing: MT, PT, VT, RT, UT, FN, PMI.